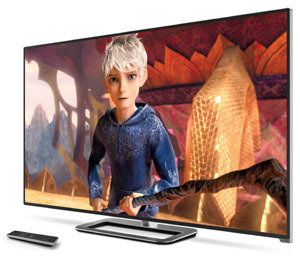 The 65 inch size class is a very competitive one in the realm of LED TVs. The Vizio M651d does a good job of balancing value with some hard hitting features that make it hard not to give this one a second look. It sells for $500 dollars less than the massive 70 inch M series TV above it, bringing it to the less than $2000 range. It features passive 3D, local dimming, and the V.I.A. smart TV platform. The effective 240Hz panel speed did a pretty good job eliminating judder and motion lag when combined with the Smooth Motion Effect setting. When viewing anything but live sports, you will likely want to turn the Smooth Motion Effect setting off as it adds the unwelcome cardboard cuttout fake effect by eliminating too much background blur. The effect is more subtle on the Vizio M651d than on many LED TVs we've reviewed. It doesnt overcompensate as much. We noted just a slight amount of lag in fast motion material. The M651d features a panel with a 240Hz effective refresh rate from what is likely a 120Hz panel. We think this is a great addition to the overall picture quality on this LED TV. It works pretty well to smooth out fast motion and take take of motion blur. This really expands the functionality of the TV to make it useful for all kinds of sports programming and video games. There are many situations where this extra push in image processing won't be needed, luckily it can be disabled. This way unwanted side effects in programming that doesn't include a lot of fast action won't be an issue. Local dimming (Smart Dimming feature) on the M651d works to control brightness and contrast in specific areas of the TV. Though we do not see a whole lot of difference when utilizing the feature, it provides a glimpse at better processing and LED lighting on this TV vs. lower end. The specific areas are known as zones and the screen on this TV is divided up into 16 of them. That's not as many as some of the other local dimming LED TVs out there, but the effect is subtle but good. The zones are able to darken individual areas of the screen for higher contrast in dark scenes. 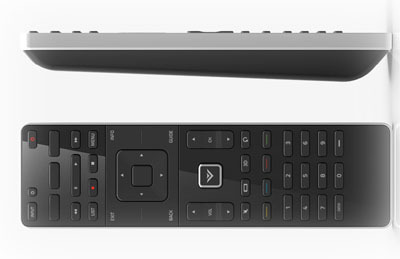 The M651d uses Vizio's Theater 3D. This is the passive 3D method for displaying 3D content. We have noticed better 3D picture quality on passive 3D TVs from LG, Vizio and Sony than the active variety. Plus it's less complicated, you get 4 pairs of glasses free, and extra pairs are cheap. The M651d has a very nice deep rich 3D quality picture and I highly recommend this aspect of the TV to those leary about 3D. The M651d has an ultra slim quarter inch black gloss bezel that surrounds the edge to edge glass of the screen. The base and neck are made out of metal to give it a solid construction and feel. The profile is razor thin and competes with the best LED TVs on the market. Unlike other manufacturers Vizio places their logo on the bottom right of the TV which leaves the middle bottom front looking somewhat empty. Overall a good B-grade design. The Vizio M651d is one of the only LED TVs produced in the 65 inch size. At $1699 it's also the best price in the market for an LED and an excellent deal. Competition comes from the Samsung UN65F6400 and UN65F6300 and the Panasonic TC-P65ST60.